Our coil spring kits, which include front and rear coils, are available with your choice of stock height, 1" drop, 2" drop and 3" drop front coils and stock height 2" drop, 3" drop, 4" drop and 5" drop rear coils. For even bigger savings, we also offer a coil spring and shock kit. 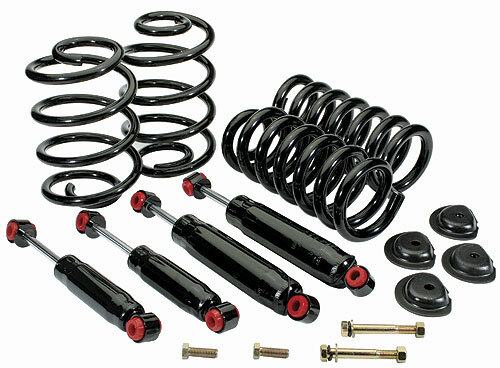 This kit includes front coils, rear coils and all four shocks. When ordering, please specify desired drop.